This morning: time and temp can’t decide whether it’s 80, 70, 75, or something in between. The sun is shining, and I have my windows rolled down on Lakeshore. I’m speeding a little, and my hair is blowing around, and I’m singing along with The Cars. The lake is an impossible blue, the surface wrinkled by wind. Driving to my new job, the one where I get to do all the things that I’ve loved about my last three jobs, and none of the things I haven’t. Driving with my new city behind me, marveling every day at my good fortune at actually getting to live here. Thinking about last night – good food in the company of a newly dear friend and her close friends – and the night before – bourbon and The Smiths until far too late, just like in the old days. Thinking about the morning already behind me, waking too too early, a breeze ruffling the curtains, my sweet cat curled next to me on the quilt made by my great-grandmother. Feeling thankful for the wall of love surrounding me, for so many amazing people in my life in so many different ways. Remembering how three months ago, I ran head-first into my own sadness – and how this morning, driving through my new city to my new job on a perfect day, I was struck by the intensity of my happiness in that moment. Three months ago, I was afraid. Today I would say that I’m terrified, very deliberately using the word that a love and I once used to delineate our feelings about what we were coming to share: equal parts fear and delight. Terrified by the possibility that this just might be it, that this might actually be happiness, that I might have actually rounded that corner and found myself exactly where I’m supposed to be at this moment in time. Honoring everything that I’m feeling for what it is, and not needing it to be more or less. I’m so overwhelmed. I’m so thankful. I have four weeks’ vacation plus seven discretionary days plus a serious case of wanderlust. Who wants to take a trip? Yosemite, because parks and bears and outdoorsy! The Grand Canyon. Eva and I talked about this ages ago, and I sort of forgot that it existed until I saw this post. Germany to see Linda and Jeremiah and M I L O and my cousins and LARP Ticket to Ride. Spain. Spain Spain Spain Spain Spain. Voy a viajar a Santiago una vez más. Or Granada. Or Ibiza. Atlanta to visit Paul and eat all the sweet potato biscuits. 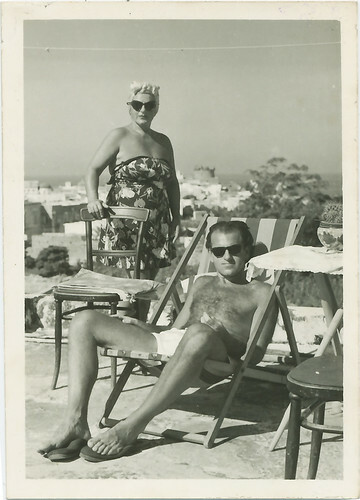 Greece for the history and the food and the blue blue blue blue sky and because Lawrence Durrell makes Rhodes and Corfu sound impossibly idyllic. The Salton Sea. Vince D’Onfrio’s pig nose optional. New Orleans as I’ve never been much of anywhere in the South, and it seems like this is the place to start. Costa Rica or somewhere similarly tropical with crabs and monkeys and beaches. That said, it’s a Sunday morning and my curtains are blowing gently in the breeze and a train just went by and I’m drinking iced coffee, and while it does get better than this, this is pretty damned good. – So hey, NATO’s coming to town! Which means that basically everything related to commuting or public transportation or the lake is just – ugh. On the bright side, it will be a good excuse to get on my bike and see the crazy. – On Saturday, I’m taking a Chimpsy workshop so that I’ll be slightly more competent in my use of the DSLR that we bought, oh, three years ago. – I realized earlier in the week that since I drive up Lakeshore every day, it was silly to go home, change, and then run in my neighborhood. Instead, I’m paying $1/hour, parking on the lake, and getting my run in immediately after work. I’ve also decided that modesty is overrated on days when it’s over 70, and if people don’t like the sight of me RUNNING in a sports bra and shorts, they can deal. – It’s pretty likely that I’ll continue to obsessively listen to The Cars, as I’ve been stuck on the same song for the last three weeks. – I’ve been stupidly busy after work every night this week, and while it’s been mostly fun stuff, I’m SO looking forward to having no responsibilities or plans other than reading magazines and watching Mad Men and thinking about summer vacation, whenever and wherever that will be. – My grocery list currently contains three items: olives, dark chocolate, and bleach. You know, just the essentials. – A woman in California picked up some pretty rocks on the beach AND THEN HER PANTS CAUGHT ON FIRE. – These dance-bombing teachers are pretty much the best ever. – Renowned silver fox David Byrne turned 60 this week. I celebrated by looking at photos of my nephew in an oversized suit. – A perfectly curated and edited video of Sherlock Holmes insulting people. – This Tumblr is full of vintage love. My wide eyes tell you everything you need to know about how I was feeling before April’s races. Tired. Overwhelmed. Undertrained. In need of a hug, a pep talk, and a lucky charm. I already told you about my race plan for the CB10. I stuck to it for the most part, though the sun didn’t cooperate with #14, and there were no space blankets (#18) on offer. Instead, I shaved five minutes off last year’s time, even with stopping for an Oreo and 2 oz of Yuengling, even with cold weather, even with the the wall I hit between 8.5 and 9, just like last year. Jeff brought us sweatshirts, and Tina’s friends provided a sun-drenched brunch. And I logged a new PR: 1:33:56. Two days later, I moved into my new apartment in Chicago. A couple of weeks and a new job later, I drove down to Champaign for 24 hours of races – the Christie Clinic Illinois Marathon weekend, with races ranging from a 1K fun run up to the full marathon. I was registered for the Half I-Challenge – a 5K Friday night, and the half marathon Saturday morning. My feelings for Champaign are complicated, as I’ve explored here before. It felt like home from the time that I first moved there, and no place has quite replaced it in my heart. Between the race expo and the 5K, I went to Kopi and worked on my laptop at one of the small tables just like I did for years and years, with the same people ordering the same drinks as they have for years and years, and the same music on the stereo as has been playing for years and years. When I moved to Champaign, it was on the heels of the end of my first marriage. I was alone for the first time in my adult life, making choices that would establish my new life independent of the person on whom I’d based my world. It was scary and overwhelming, but also so full of possibility. It got easier than in those first days, and what made it easier – and what made Champaign feel like home – were those anchors – like Kopi, like the regular customers, like the park at night, like the family of friends that surrounded me. I mention this because when I queued up for the 5K in the cold and the wind, totally alone in the crowd of thousands south of campus, I looked to my right and saw one of my favorite regulars from the years I worked at Aroma. I don’t know his name or anything about him beyond his regular order – a small coffee and a brownie – but every time he came in, he made me smile and think of my dad. I have no idea if he remembered me – hell, I lost him in the crowd almost as soon as I spotted him – but it was a moment of grace, and gave me energy for the cold, rainy, windy race ahead. We went down First past the Stadium, turned right on Green, and then up Sixth, where I blew a kiss in the direction of GSLIS. The rain started as we turned right to head past the art museum, but it hardly mattered at that point. Down into Memorial Stadium and onto the field, where Jill spotted me and yelled out a cheer that pushed me to the finish line with my last burst of energy. Another PR, this one by 20 seconds: 25:58. Dinner with Erin and Jadon, one of the last of my GSLIS crew still left in town. We had pizza – maybe not the best race fuel, but damn, was it delicious – and I slept fitfully on their very comfortable couch, concerned about oversleeping, concerned about the race, concerned about the weather, concerned about everything. Up at 5, and out the door by 5:30 because I was anxious about road closures for the race. I sat in my car and listened to music and blasted the heat and prayed for the rain to stop. I dug out a permanent marker and wrote Keem’s cheer on my hand: YOU’RE DOING IT. I stretched at Assembly Hall, then hopped in ahead of my designated wave, hoping to pace at 9:15 and beat my Detroit time. I can’t really explain the race – I couldn’t then, and I can’t really now, a few weeks later. The course was easier but the run more demanding than in Detroit in October. It was cold and windy. It never seemed to end. We ran through campus, past Hendrick House, where Mark lived for years. Maybe I took too much water. Maybe I didn’t have enough water. My nose wouldn’t stop running, but my legs felt like a million bucks. We pushed on through Urbana, passing the street where Amy and Adam lived, past the turn to go to Sarah and Hannah’s house. We hit the edge of town, turned south, and ran through Meadowbrook Park. I hung with a couple of guys, laughed as others challenged each other and ran off the edge of the path to get around slower runners. I felt strong and steady. I had no problem hitting my pace. We turned north to head back toward campus, and I hit a wall. 10.5 miles and I felt like I couldn’t possibly go any further – and then, on the sidewalk, just walking, not paying attention to the race, I saw Rick Powers. I used to see him occasionally when I was dating Shawn and going to English department events – and then once in a while around town – but hadn’t seen him in years. That little burst of happiness helped, though not enough to get me through the side cramp a mile later, or the complete and total exhaustion to come. The latter would come in the form of two marathoners who came up beside me near the Meat Science lab and stayed with me for a few blocks, encouraging me about my time, telling me that I was lucky that I was almost done. A hairpin turn, and around the corner into the Stadium. I looked down at my watch, and poured everything I had into the last minutes. As in the Cherry Blossom race, I repeated over and over: All the pain. All the sadness. All the hurt. Burn it up. Use it as fuel. Under two hours. 1:59:09. A PR by almost six minutes. I got my medals, sat down, and immediately lost it, crying hard enough that another runner came over to check on me. No, I didn’t need help – I was just overwhelmed. Overwhelmed to finish, much less PR, much less break two hours. So very thankful for every person and emotion and thing that had carried me through the miles and through the last few months. So very much, all in those miles, in those medals, in my aching body and heart. At breakfast on my last weekend in A2, Olivia mentioned that she’d heard about some sort of festival? parade? taking place in Detroit on Sunday – maybe something about a dwarf exorcism? Of course I had to look it up once I got to work: “Detroit dwarf exorcism”. So the story goes, Detroit has been haunted by a red dwarf – the Nain Rouge – since it was settled in the 1700s. The appearance of the Nain presages disaster, and so for the last 300 years, the people of Detroit have gathered together to cast out the demon. And so on a perfect Sunday in March, we found ourselves a part of a rolling party – a costumed parade through the streets of Detroit. There were horse head masks and hula-hooping luchadores. There were tremendous drag queens and children in Radio Flyer wagons. There was a bejeweled marching band. We started in the heart of the Cass Corridor, and spiraled outward, ending at the Masonic Temple, the largest in the world, where there was music and break dancing and adequate beer. A perfect way to say goodbye to Detroit. So hey, I quit the cleanse. 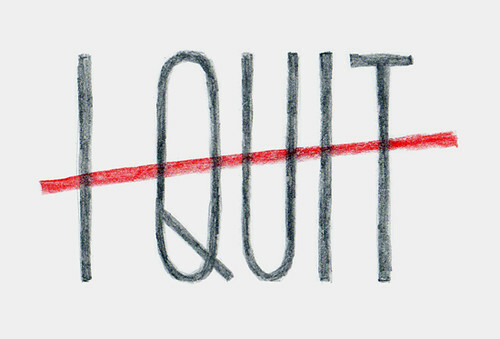 I’m officially a quitter. And I’m OK with that. When I quit smoking in 2005, it actually wasn’t that difficult. I was sick as hell for two weeks at the end of the semester, and I figured that if I’d gone that long without smoking (or doing much of anything aside from lying on the couch and watching TV from Netflix), I could stick it out through the holidays. And once I’d made it that long, I was done. I’ll have a cigarette now and then, but I’ve stayed quit. I reached a similar turning point in this whole cleanse business yesterday. In week two, I added back beans, soy, and seafood. I made several delicious meals. And I felt terrible. Like, really terrible. Canceling plans, not going to yoga, lying on the floor with a heating pad terrible. Part of this was to be expected. After all, part of cleansing is ridding your body of the bad stuff that has accumulated. But after a week, give or take, of that, I’m ready to throw in the towel. I’m OK with making inconvenient changes. I’m not up for electing to do things that make me very uncomfortable. I mean, other than distance running, but at least in that case, I feel great before feeling really uncomfortable. So today I’m calling it quits and starting to reintroduce dairy, eggs, meat, and whole grains. I’m going to keep eating hella veg. I’m going to do my best to continue avoiding sugar and processed foods since hello, that’s a good idea anyway. I’m glad I tried it, and am equally glad to be done. I’m surprised that the WLAP didn’t include any guidelines on caloric intake. I would wager that most people need more than 200 calories of juice to get started in the morning, especially if you’re used to eating a full breakfast. I struggled the first few days because the recommended meals were so light – if the menu was followed explicitly and with no snacks, you’d be taking in less than 1000 calories. I’m also surprised that the WLAP didn’t emphasize – or even mention – fermented foods, which are very good for you for a variety of reasons. I strongly suspect that one of the reasons I had digestive problems was that I generally have (plain, unsweetened Greek) yogurt every day, and eliminating it from my diet meant eliminating my primary source of beneficial bacteria for 2+ weeks. I am newly infatuated with tahini, miso paste, and Marcona almonds. I have a newfound respect for vegans and other friends with dietary restrictions. It’s really, really hard, and you guys are awesome for making it work by choice or by necessity.